June 8, 2018, 8 a.m.
Zika rumors got three times more shares than real Zika stories. What can health educators do? Plus: Qatari bots, Swedish pamphlets, and French laws. By Laura Hazard Owen @laurahazardowen June 8, 2018, 8 a.m.
— Sixty-six percent of the 120 most popular news stories were produced by alternative media sites like GMWatch, US Uncut, and The Free Thought Project. “On average, alternative media had the highest reach of news stories (44,673 shares per story), followed by digital media (36,340 shares per story), legacy media (12,482 shares per story), and scientific organizations or institutions (9,656 shares per story).” And fully half of the top 10 Zika-related stories on social media were rumors. Several fabricated stories portrayed Zika as a low-risk issue; however, this type of framing did not appear in verified stories. Such framing represents a threat to the implementation of disease prevention efforts and prevention behaviors, because the virus may not be perceived by the public as a public health priority. This understanding could prompt Health Educators not only to disseminate content that refutes the “low-risk” view but also to try to meet the information needs of users by promoting accurate content on the risks of Zika. Moreover, information on which topics have been neglected in the social media debate would prove helpful to redirect communication efforts toward less-discussed issues. In our study, for instance, few verified news stories explicitly addressed the impact of Zika on men’s health, which suggests the need for Health Educators to focus on risk-related messages that target the male population. And the law would authorise the state to take foreign broadcasters off the air if they were attempting to destabilize France — a measure seemingly aimed at Russian state-backed outlet RT in particular. “Persian Gulf regimes create — or order the creation — of thousands of bots to tweet in a coordinated fashion.” Twitter bots are a problem in the Persian Gulf. In May, 29 percent of a random sample of Arabic tweets mentioning Qatar were tweeted by bots, according to researchers Marc Jones and Alexei Abrahams, up from an already-high 17 percent last year. Propaganda bots operating in the gulf do not attempt to engage other users directly, tending instead to focus on increasing the public salience of statements tweeted by prominent human accounts. For example, bots often amplify tweets by critics of the Qatari government or royal family, such as the leader of the Qatari opposition abroad, Khalid al Hail, or @QatariLeaks, an anti-Qatar website. Thousands of bots have been mobilized against Qatari news station Al Jazeera. Bots even promoted the pro-Saudi tweets of President Trump during his May 2017 visit to the region. Typically, almost 90 percent of tweets in gulf crisis hashtags are verbatim retweets of what others have said. Less than 30 percent of Twitter users post original content, and among these, the top 2 percent (0.6 percent overall) are retweeted so much more than anyone else that they drive roughly 75 percent of the conversation. These elite social media influencers are often given a leg up by bots, particularly if they express anti-Qatari sentiment. “Many people may feel a sense of anxiety when faced with an uncertain world.” The Swedish government is distributing a pamphlet, “If Crisis or War Comes,” to every household in the country. It’s “the first time it has issued a new one since the end of the Cold War,” writes Joseph Trevithick at The Drive. (The Drive, if you were wondering, is Time Inc.’s automotive site.) 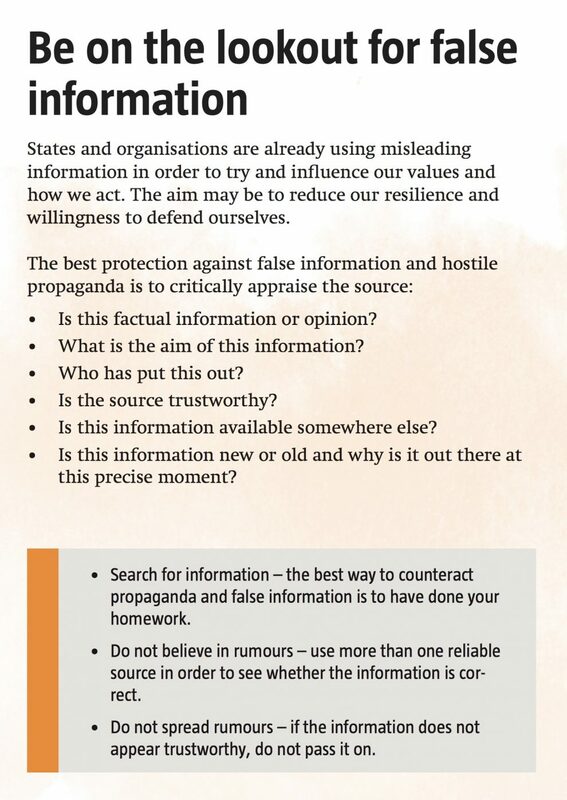 The pamphlet includes a section on false information, and an English version is here. POSTED June 8, 2018, 8 a.m.
Owen, Laura Hazard. "Zika rumors got three times more shares than real Zika stories. What can health educators do?." Nieman Journalism Lab. 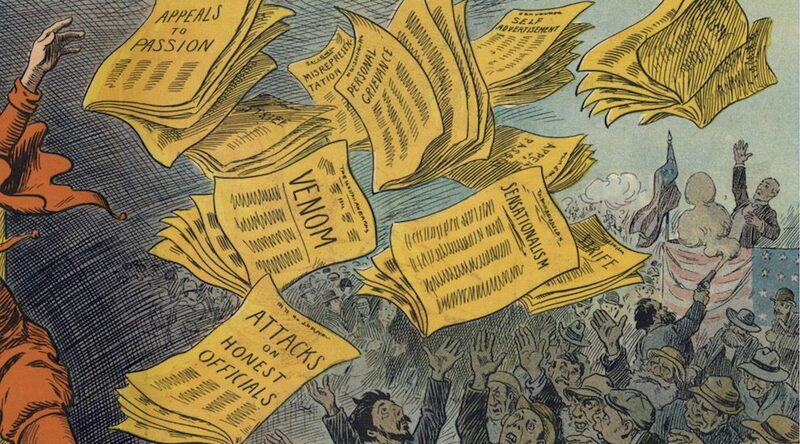 Nieman Foundation for Journalism at Harvard, 8 Jun. 2018. Web. 20 Apr. 2019. Owen, Laura Hazard. 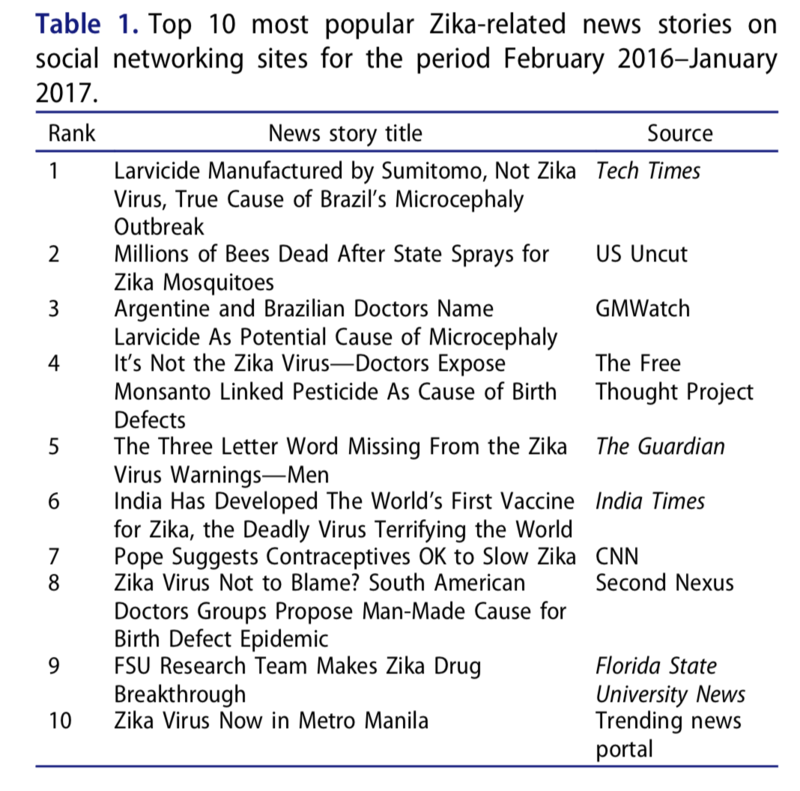 "Zika rumors got three times more shares than real Zika stories. What can health educators do?." Nieman Journalism Lab. Last modified June 8, 2018. Accessed April 20, 2019. https://www.niemanlab.org/2018/06/zika-rumors-got-three-times-more-shares-than-real-zika-stories-what-can-health-educators-do/. | title = Zika rumors got three times more shares than real Zika stories. What can health educators do?